Posted by Greg at 4:08 a.m. 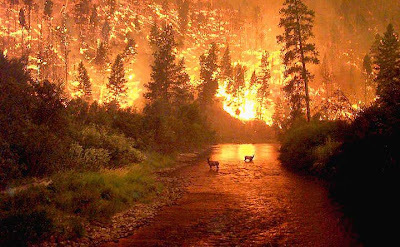 If it is consolation at all - This photo documents a Montana wildfire. Also: The fires in Greece are mostly snuffed. But: Now Spain is on fire. A vicious fire leaves fertile soil.